My previous post talked about methods of self-steering which require no electricity. This is a project I still intend to work on, but last weekend I came in possession of an Autohelm ST1000. While it is a much older unit than the Raymarine ST1000, and does not have all the communications abilities, it does work well enough as is, without position input. This tiller pilot is one from a boat I had sailed aboard last summer. It was me who got it working and showed the owner some basics of its operations. He liked it so much that he decided to upgrade to the modern version, and said that I could have the old one. That was last autumn, after the boat was under the winter cover, so it was inaccessible. 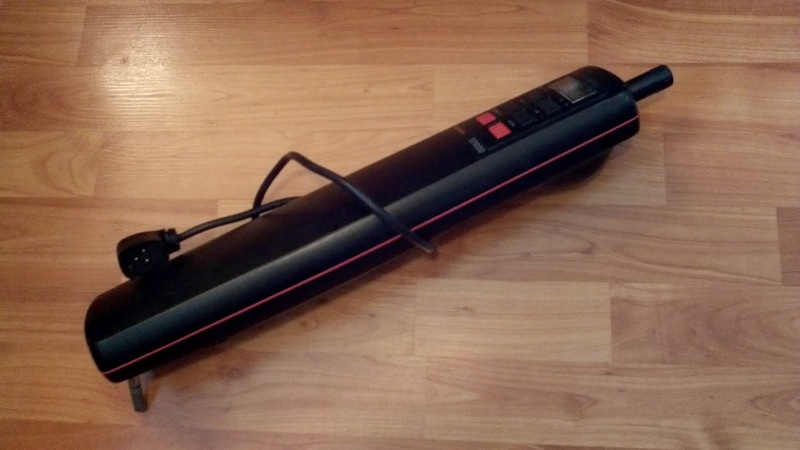 With the boat now uncovered, and after confirming that he was sure he didn't want it, I took the electronic helmsman home. This is actually the second tiller pilot I have been given. The first one is ancient, and I can't find out very much about it. The make is Epsco, and the model is Seacourse EM1. Internet searches only turn up other people asking about them, and no real information. It has brown and white wires, so I don't even know how to power it. I'll eventually take it apart and see what the guts tell me, but that project is now pushed further away. I have a newer toy. 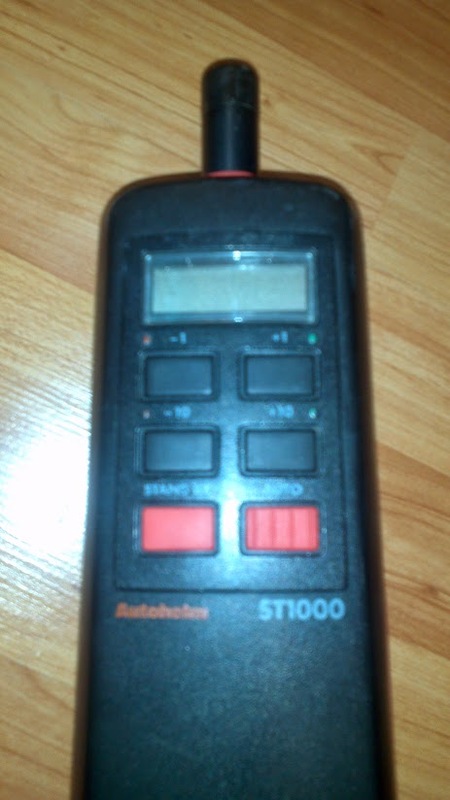 The Autohelm ST1000 was not that easy to find information on either, but I eventually tracked down a PDF of the manual. I think it operates much the same as the newer Raymarine, but the wiring is different. 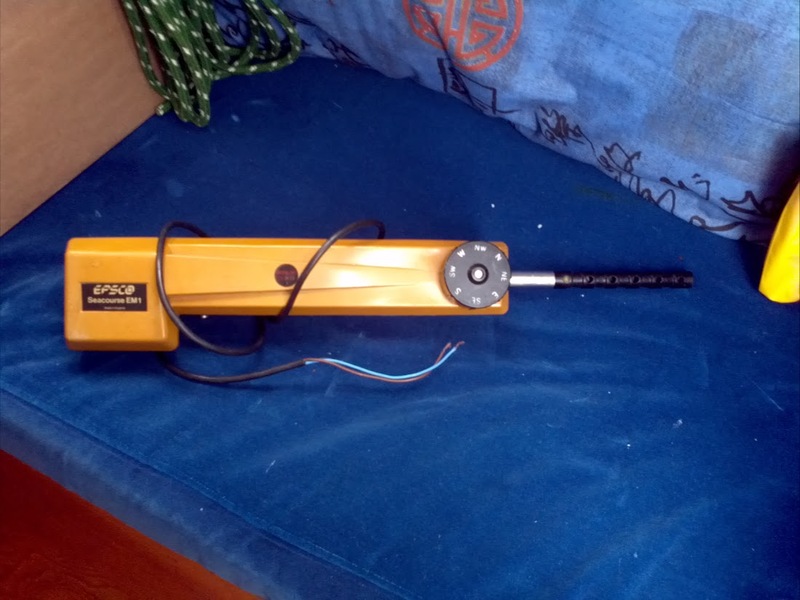 The current model requires something like 6 pins, whereas this one only has 3 pins for 4 wires. 2 for power, and 2 for SeaTalk, with the - common to both. 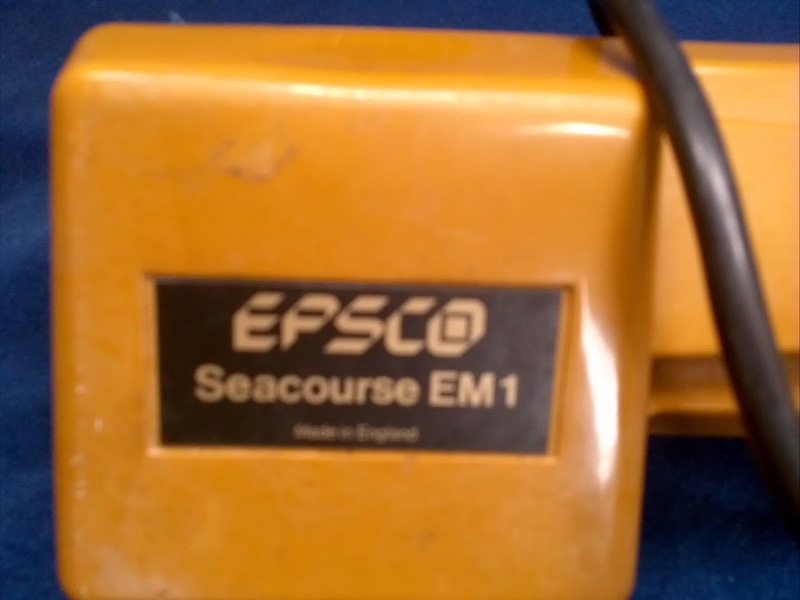 I'm not very familiar with SeaTalk, and from what I can gather, it only works with other Raymarine products, whereas NMEA0183 is fairly universal. Not only that, but there are two versions, and this device has the old one. 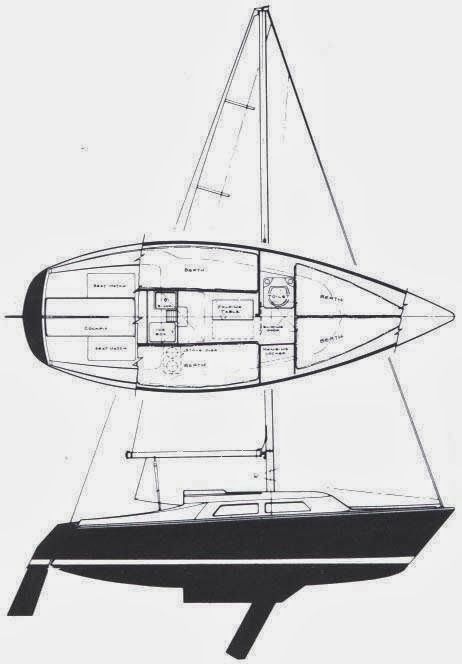 This means that even with a new Raymarine GPSr, I'd need a box to do the conversion. 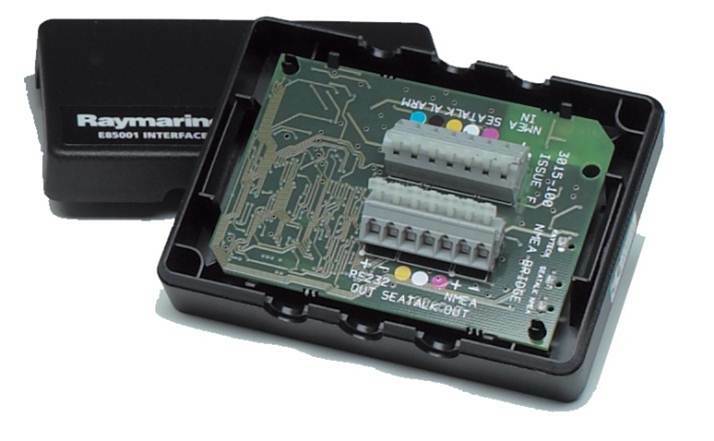 I've also seen a box that converts from NMEA to SeaTalk, but it is discontinued and expensive, if I could find one. Having the tiller pilot is one thing, getting it installed and working is another. I will still have to buy some parts for it. There has to be a socket to hold the base secure in the cockpit, and a pin on the tiller for the pushrod. I may also need to change the wire connections, since the cap is cracked on the device end, and the boat side power socket is still on the boat. Another expense will be a new battery. The battery in Serenity now was purchased in 2006, making it 8 years old and getting weak. It will power a few lights and instruments, but I can't see it driving the Autohelm for a day. I could use a second battery anyway, so there is always a backup, but that setup will cost several hundreds of dollars, and a subject for another post.